Denby Fawcett: Has Carpenters Union Lost Some Of Its Political Muscle? Its super PACs have spent big money in recent elections, but its anointed candidates often lose. The latest example: Colleen Hanabusa. 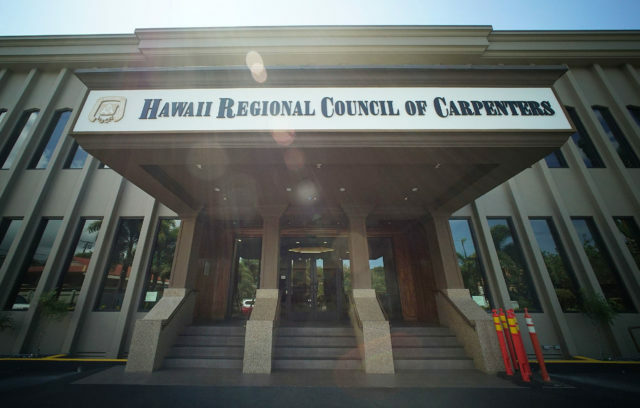 You have to wonder if voters have finally gotten tired of the Hawaii carpenters union’s blatant efforts year after year to buy elections by injecting millions of dollars from its various super PACs to favor certain candidates. Or if maybe this time the 6,500-member Hawaii Regional Council of Carpenters just blew it by throwing money at the wrong candidates. Meanwhile, its super PAC Be Change Now is probably already regrouping — perhaps with another new name and a more pointed strategy. Super PACs funded by the carpenters union are big players in Hawaii elections — but not always big winners. Like them or hate them, super PAC (political action committees) are not going away. They will continue to have an outsized influence on elections because by law they can. Individuals and organizations are limited by law in how much they can spend to support political candidates but the U.S. Supreme Court’s Citizens United decision opened the way for so-called super PACs to spend unlimited sums of money to support or oppose any candidate as long as they act independently of a candidate’s campaign. In the primary, Be Change Now spent more than $3 million hoping to secure victory for its three anointed candidates: Democrat Colleen Hanabusa for governor, Democrat Josh Green for lieutenant governor and Tyler Dos Santos-Tam for a nonpartisan City Council seat. Only Green won — in a fairly close race — after the super PAC spent more than a million dollars on TV commercials to support him. Critics in the Legislature said the main reason the carpenters union put so much money behind Green in a race for the innocuous position of lieutenant governor was to punish one of his opponents, state Sen. Jill Tokuda, for her reluctance to support an indefinite extension of the excise tax surcharge for the Honolulu rail project. And by extension to scare other lawmakers who might be thinking of layering more government oversight onto the project. State Sen. Josh Green, the Democratic nominee for lieutenant governor, at the party’s Unity Breakfast on Sunday. His candidacy got a big boost from the carpenters union. Interestingly, the union supports Green despite the fact that he voted against rail funding when it was authorized initially and when the extension of the tax was proposed. State Reps. Sylvia Luke and Della Au Belatti said the union’s efforts to defeat Tokuda has strengthened their resolve to even more carefully monitor the rail project and to initiate campaign reforms to curb the super PAC’s spending power. Be Change Now’s executive director, Joshua Magno, did not return calls for comment. Incumbent Gov. David Ige defeated Hanabusa, on whom the super PAC spent more than $1 million. In the last week before the election, the union injected about $400,000 to bolster Hanabusa and Green and to pound on Ige with negative advertising. But it was too late for Hanabusa. 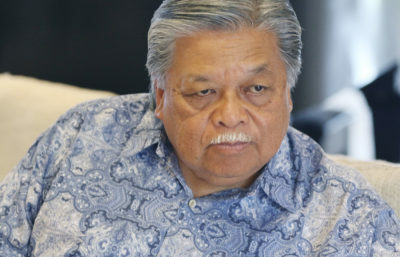 The super PAC’s ads criticizing Ige for his inaction during the Jan. 13 false missile alert initially got traction, but people later seemed to sway back to Ige when he did well in responding to the floods on Kauai and volcanic eruption on Hawaii Island. “David Ige won the election because he was rescued by Madame Pele,” says former Gov. Ben Cayetano, a Hanabusa supporter, referring to Ige’s efforts to bring help to victims of the Kilauea eruption. Still, Ige had an initial infusion of $200,000 in support from the super PAC AiKea Unite Here and another $80,000 in advertising support from the same source in the last week before the primary. 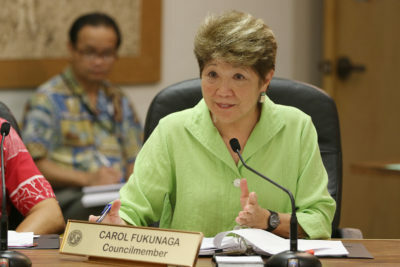 City Councilwoman Carol Fukunaga was targeted by the union but won re-election anyway. 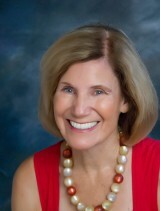 City Councilwoman Carol Fukunaga’s re-election campaign was opposed by Be Change Now. But she won outright by gaining a majority of all votes cast in the race, roundly defeating the union’s choice, Dos Santos-Tam, and two other opponents. Dos Santos-Tam was executive director for five years of the Hawaii Construction Alliance, an organization partially funded by the carpenters union. Fukunaga says she hopes her victory sends a message to special interest groups trying to commandeer elections by throwing huge amounts of money into attack campaigns. The carpenters union’s super PACs have been dwindling in importance. Before Green’s win Saturday, it had not had a major win since 2012 when its super PAC, Pacific Resource Partnership PAC, torpedoed Cayetano’s mayoral bid in favor of pro-rail candidate Kirk Caldwell. PRP spent $3.6 million to run a series of smear commercials to falsely accuse Cayetano of being engaged in a pay-to-play scheme. Cayetano had been leading in the polls, and had vowed to stop rail if elected. Former Gov. Ben Cayetano was the target of a major carpenters union offensive in 2012. Cayetano believes PRP’s smear ads cost him the mayor’s election. 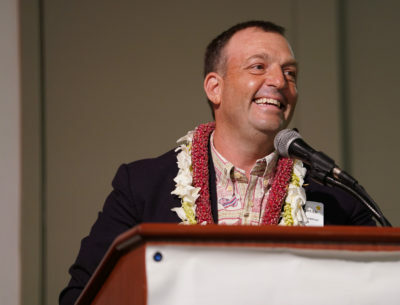 He filed a defamation suit that was settled by the super PAC issuing a public apology and donating $100,000 to the John A. Burns School of Medicine and $25,000 to the Hawaiian Humane Society on Cayetano’s behalf. In 2014, the carpenters union’s new super PAC, Forward Progress, spent $512,000 to support Butch Kaala Buenconsejo’s campaign and $83,000 opposing incumbent Maui Council member Elle Cochran, but Cochran still won. The state Campaign Spending Commission fined Forward Progress for not properly stating that certain expenditures were to help Buenconsejo. Correction: An earlier version of this report said the union spent $63,000 in support of Buenconsejo’s campaign. Forward Progress failed again in 2014 when it poured $117,000 into the candidacy of Ron Gonzales and spent $14,000 opposing his opponent, Margaret Wille, who still won the Hawaii County Council race. When the super PACs run afoul of campaign spending laws, the fines are usually small and never enough to discourage unions, special interest groups and individuals from making use of the opportunities to gain influence by spending unlimited amounts of money on elections. But that may not stop voters from getting disgusted by the unfairness of it all.